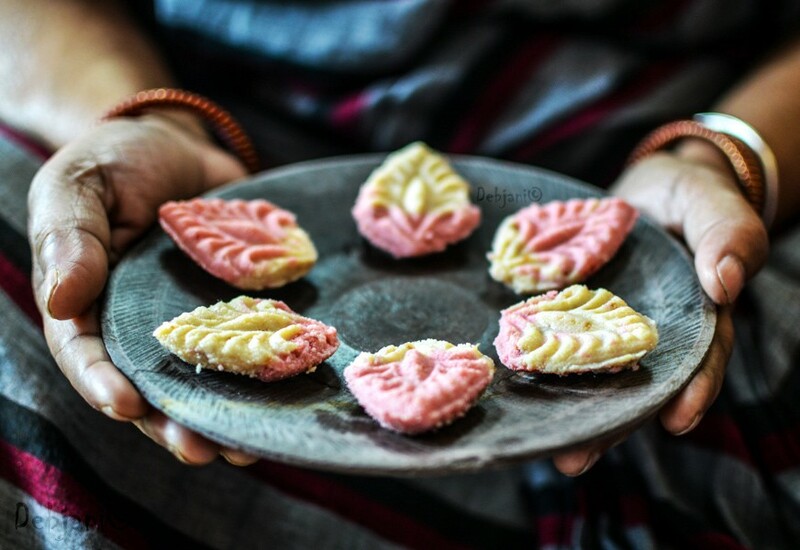 10 Holi Recipes from Debjanir Rannaghar; the sweet delicacies! Hardly few hours left before Holi and I am busy at the office. Year-end is nearby and naturally, I am juggling between work and home! I will be getting maximum 2 hours or so to make the Holi special food. Needless to say, I will opt for some tried and tasted Holi recipes. 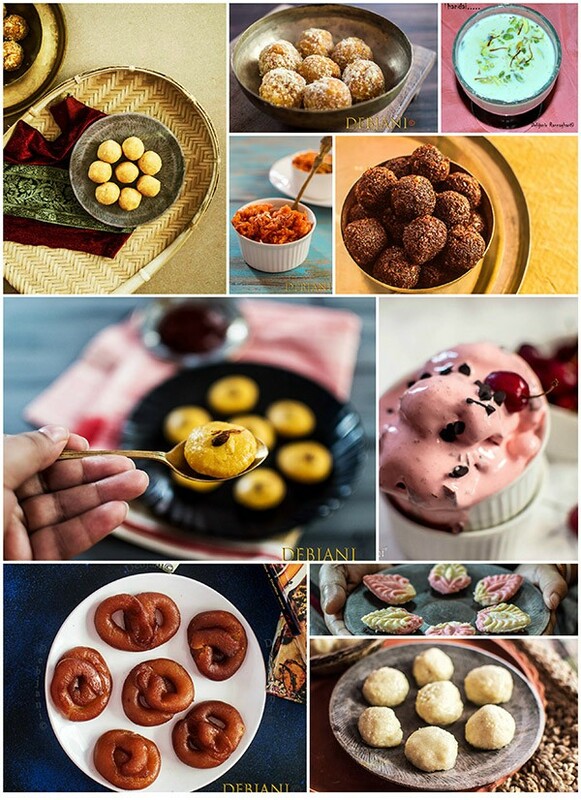 I though know what I am going to make this year on Holi, however, I thought to come up with a post with my favorite Holi Recipes. Hope this will help the readers to choose between the Holi special delicacies. Here I am mostly talking about Dessert and drink though. All the Holi recipes, I have chosen are easy to make and the ingredients are available easily too. 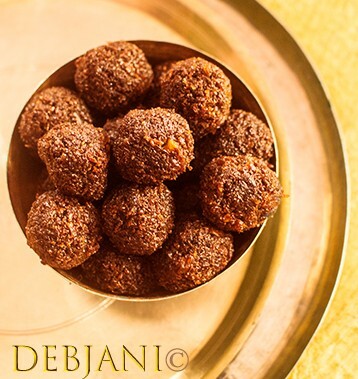 My first pick is typical traditional Besan Ladoo. 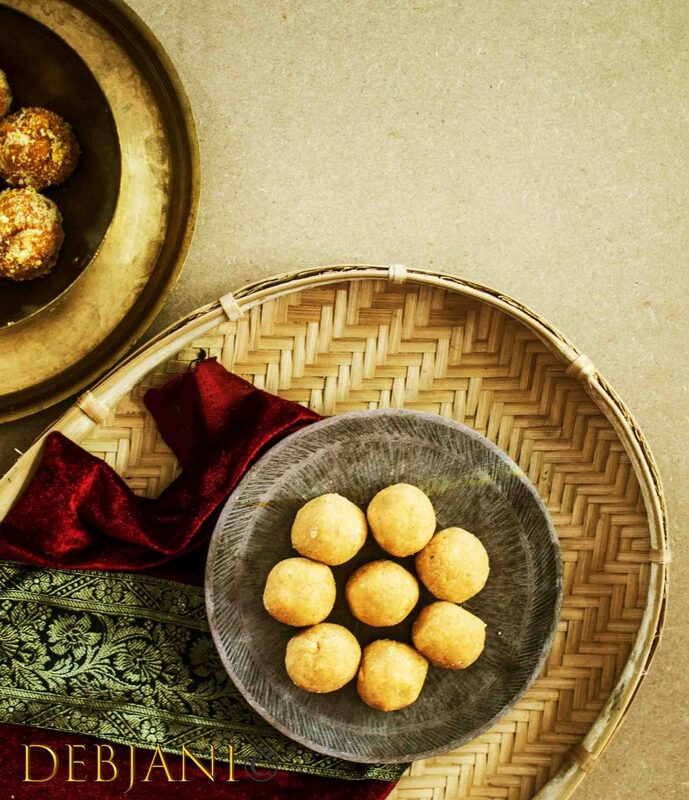 This is something you can make within almost no time and taste-wise Besan Ladoo never fails. My number 2 is a Bengali specialty, Darbesh. This sweet requires no introduction. However, the process is a bit tricky but worth trying for. Do check the Darbesh recipe here. While I am doing a listing for Holi recipe, how can I not include Thandai? The famous Indian milk-based drink is indeed Holi special. check here for the Thandai recipe! I have chosen again a Bengali delicacy as number 4. Gurer Narkel Naru it is. 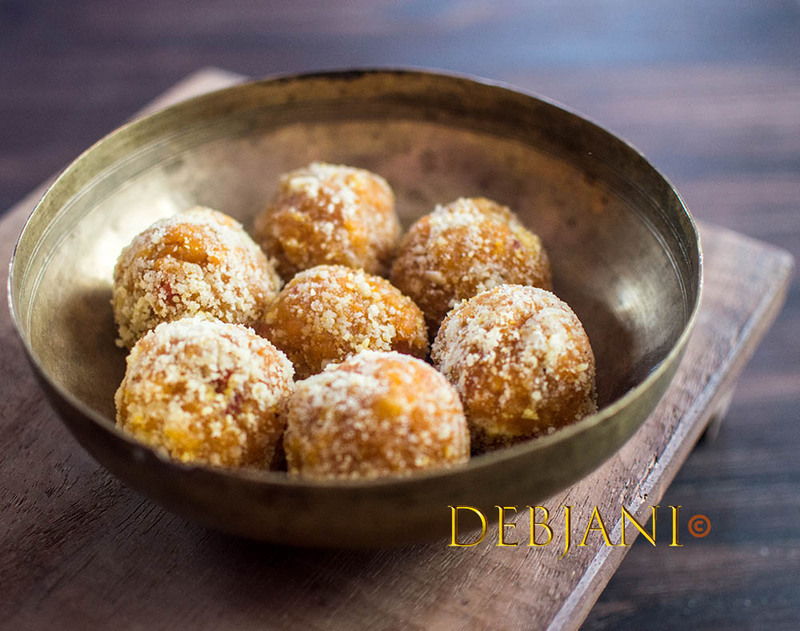 Though coconut Ladoo is not only popular in Bengal however, this jaggery version is a must try and takes less time to make. My number 5 is none other than Gajar Ka Halwa! 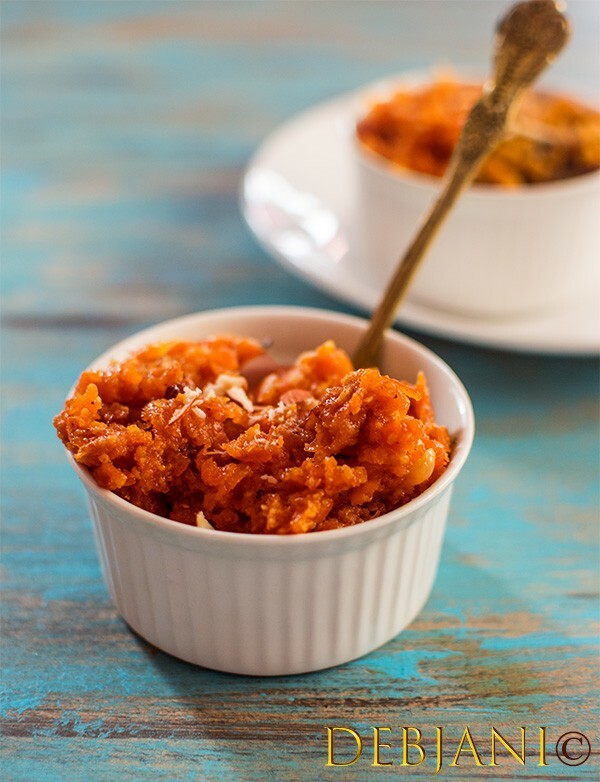 When Carrot is still in season, how can I not include the Gajar Ka Halwa in my Holi recipe listing? As Number 6 my pick is Kesar Peda. Easy to make and taste-wise mindblowing! Check here the recipe for Kesar Peda. Number 7 however, is special! 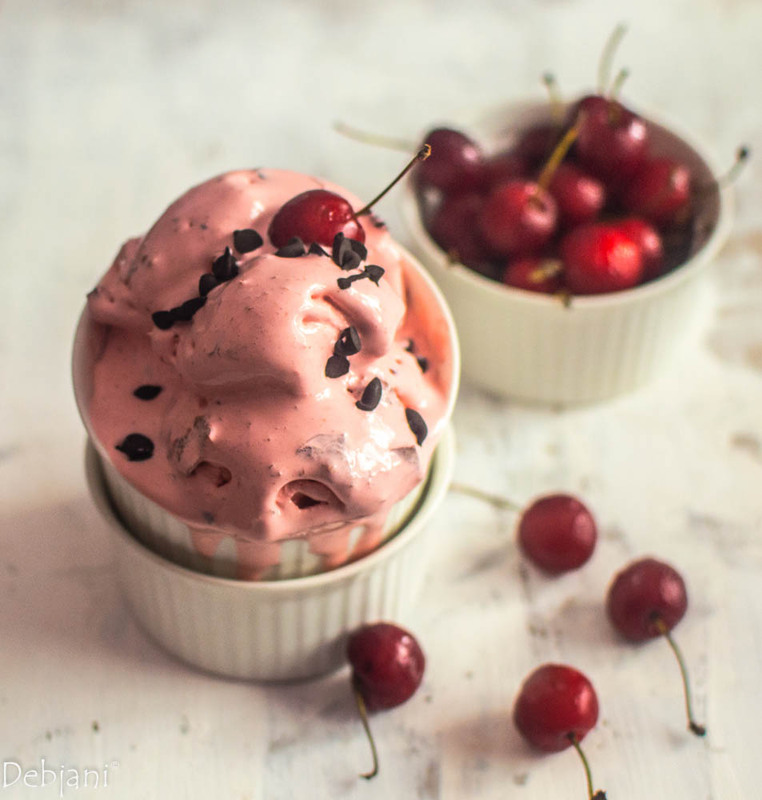 A seasonal #icecream prepared with Fresh cherry and chocolate. This ice cream is colorful and easy to make and hence a must make this holi. Check here the recipe for Fresh Cherry and Chocolate chip ice cream. By the way, this is a no-churn ice cream recipe and hence calls for very less labor. My number 8 is 2-in-one Sondesh; well not the ice cream. This is my ode to Two in One Ice cream. This recipe calls for Strawberries which are at present in season! Here goes the recipe link for 2-in-One Sondesh. My Number 9 this holi is Chanar Jilapi or Chena Jalebi, again a bong delicacy. Well, a bit tricky to make, however, if you are going to make this, believe me, Chanar Jilipi will not fail you! Last but not the least, number 10 is a simple Sondesh, Manohara. 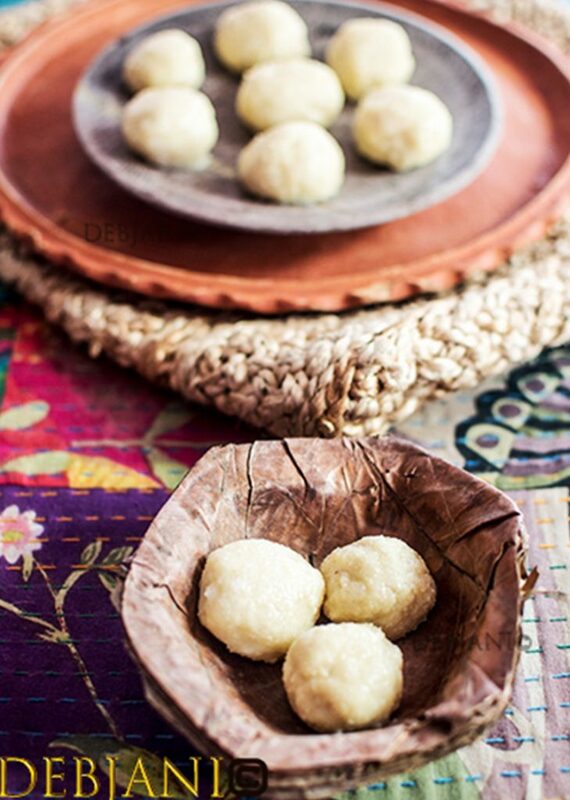 Do check here for the recipe of Bengali Manohara Sondesh. 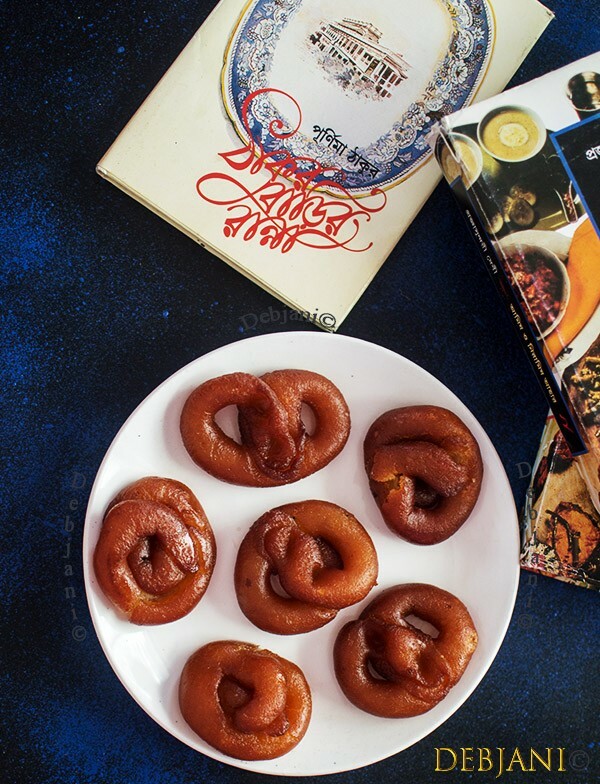 How can I forget Gujia while writing about Holi special Sweet dishes! Yes, Gujia is my number 11! Wish you all a very happy Holi and I would love to know how do you find my Holi Recipes for Sweet dishes. 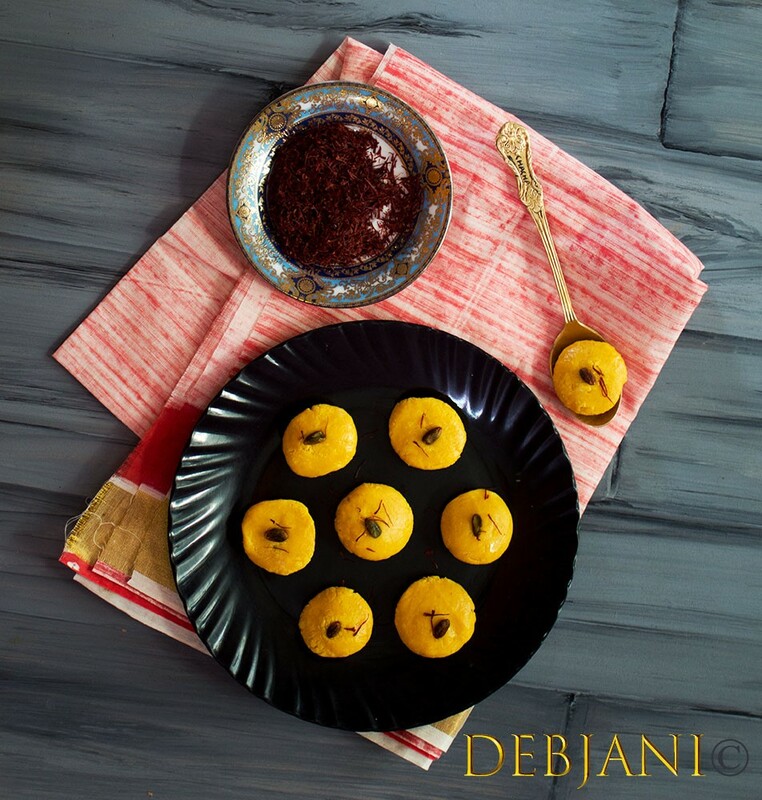 Have you tried the Holi Recipes from Debjanir Rannaghar!